Bayat, M., Rahimpour, M. (2016). Enhancement of Hydrogen and Methanol Production using a Double Fluidized-bed Two Membranes Reactor. Iranian Journal of Chemical Engineering(IJChE), 13(3), 3-18. Mahdi Bayat; M.R. Rahimpour. "Enhancement of Hydrogen and Methanol Production using a Double Fluidized-bed Two Membranes Reactor". 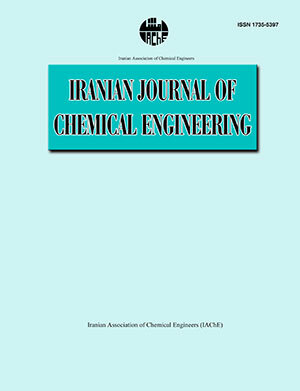 Iranian Journal of Chemical Engineering(IJChE), 13, 3, 2016, 3-18. Bayat, M., Rahimpour, M. (2016). 'Enhancement of Hydrogen and Methanol Production using a Double Fluidized-bed Two Membranes Reactor', Iranian Journal of Chemical Engineering(IJChE), 13(3), pp. 3-18. Bayat, M., Rahimpour, M. Enhancement of Hydrogen and Methanol Production using a Double Fluidized-bed Two Membranes Reactor. Iranian Journal of Chemical Engineering(IJChE), 2016; 13(3): 3-18. Nowadays, hydrogen and methanol are attractive prospects because of lower emission compared to the other energy sources and their special application in fuel cell technology, which are now widely regarded as key energy solution for the 21st century. These two chemicals also can be utilized in transportation, distributed heat and power generation and energy storage systems. In this study, a novel double fluidized-bed two-membrane reactor (DFTMR) is proposed to produce ultrapure hydrogen and enhance methanol synthesis as environmentally friendly fuels, simultaneously. The fluidization concept is used in both sides to overcome drawbacks such as internal mass transfer limitations, pressure drop, radial gradients of concentration and temperature in thermally coupled membrane reactors. The DFTMR system is modeled based on the two-phase theory of fluidization and then its performance is compared with those of thermally coupled membrane reactor (TCMR) and conventional methanol reactor (CR) under the same operating conditions. The simulation results show 24.69% enhancement in hydrogen production in comparison with TCMR. Furthermore, 14.39% and 15.78% improvement in the methanol yield can be achieved compared with TCMR and CR, respectively. Demir, N., "Hydrogen production via steam-methane reforming in a SOMBRERO fusion breeder with ceramic fuel particles", Int. J. Hydrogen Energy, 38, 853 (2012). Bayat, M. and Rahimpour, M. R., "Production of hydrogen and methanol enhancement via a novel optimized thermally coupled two-membrane reactor", Int. J. Energy Res., 37, 35 (2013). Oliveira, V. B. Falcao, D. S. Rangel, C. M. and Pinto, A. M. F. R., "A comparative study of approaches to direct methanol fuel cells modeling", Int. J. Hydrogen Energy, 32, 415 (2007). Adris, A. M. Elnashaie, S. S. E. H. and Hughes, R., "A Fluidized Bed Membrane Reactor for the Steam Reforming of Methane", Can. J. Chem. Eng., 69, 1061 (1991). Santos, A. Mene´ndez, M. and Santamaria, J., "Partial oxidation of methane to carbon monoxide and hydrogen in a fluidized bed reactor", Catal. Today, 21, 481 (1994). Deshmukh, S. A. R. K. Heinrich, S. Mörl, L. van Sint Annaland, M. and Kuipers, J. A. M., "Membrane Assisted Fluidized-bed Reactors: Potentials and Hurdles", Chem. Eng. Sci., 62, 416 (2007). Rahimpour, M. R. Fathikalajahi, J. and Jahanmiri, A., "Selective kinetic deactivation model for methanol synthesis from simultaneous reaction of CO2 and CO with H2 on a commercial Copper/zinc oxide catalyst", Can. J. Chem. Eng., 76, 753 (1988). Velardi, S. A. and Barresi, A. A., "Methanol synthesis in a forced unsteady-state reactor network", Chem. Eng. Sci., 57, 2995 (2002). Rahimpour, M. R. and Lotfinejad, M., "A comparison of co-current and counter-current modes of operation for a dual type industrial methanol reactor", Chem. Eng. Process, 47, 1819 (2008). Rahimpour, M. R. and Alizadehhesari, K., "Enhancement of carbon dioxide removal in a hydrogen-permselective methanol synthesis reactor". Int. J. Hydrogen Energy, 34, 1349 (2009). Rahimpour, M. R. Khosravanipour Mostafazadeh, A. and Barmaki, M. M., "Application of hydrogen-permselective Pd-based membrane in an industrial single-type methanol reactor in the presence of catalyst deactivation", Fuel Process. Technol., 89, 1396 (2008). Rahimpour, M. R. and Ghader, S., "Enhancement of CO conversion in a novel Pd-Ag membrane reactor for methanol synthesis", Chem. Eng. Process, 43, 1181 (2004). Wagialla, K. M. and Elnashaie, S. S. E. H., "A fluidized-bed reactor for methanol synthesis .a theoretical investigation", Ind. Eng. Chem. Res., 30, 2298 (1991). Rahimpour , M. R. and Bayat, M., "Comparative study of two different hydrogen redistribution strategies along a fluidized-bed hydrogen permselective membrane reactor for methanol synthesis", Ind. Eng. Chem. Res. 49, 472 (2010). Rahimpour, M. R. Bayat, M. and Rahmani, F., "Enhancement of methanol production in a novel cascading fluidized-bed hydrogen permselective membrane methanol reactor", Chem. Eng. J., 157, 520 (2010). Rahimpour, M. R. Bayat, M. and Rahmani, F., "Dynamic simulation of a cascade fluidized-bed membrane reactor in the presence of long-term catalyst deactivation for methanol synthesis", Chem. Eng. Sci. 65, 4239 (2010). Itoh, N. and Wu, T. H., "An adiabatic type of palladium membrane reactor for coupling endothermic and exothermic reactions", J. Membr. Sci. 124, 213 (1997). Fukuhara, C. and Igarashi, A., "Performance simulation of a wall type reactor in which exothermic and endothermic reactions proceed simultaneously, comparing with that of a fixed bed reactor", Chem. Eng. Sci., 60, 6824 (2005). Khademi, M. H. Jahanmiri, A. and Rahimpour, M. R., "A novel configuration for Hydrogen production from coupling of methanol and benzene synthesis in a hydrogen perm selective membrane reactor", Int. J. Hydrogen Energy, 34, 5091 (2009). Rahimpour, M. R. and Bayat, M., "Production of ultrapure hydrogen via utilizing fluidization concept from coupling of methanol and benzene synthesis in a hydrogen permselective membrane reactor", Int. J. Hydrogen Energy, 36, 6616 (2011). Bayat, M. and Rahimpour, M. R., "Simultaneous utilization of two different membranes for intensification of ultrapure hydrogen production from recuperative coupling autothermal multitubular reactor", Int. J. Hydrogen Energy, 36, 7310 (2011). Bayat, M. Rahimpour, M. R. Taheri, M. Pashaei, M. and Sharifzadeh, S., "A comparative study of two different configurations for exothermic-endothermic heat exchanger reactor", Chem. Eng. Process, 52, 63 (2012). Graaf, G. H. Scholtens, H. Stamhuis, E. J. and Beenackers, A. A. C. M., "Intra-particle diffusion limitations in low-pressure methanol synthesis", Chem. Eng. Sci., 45, 773 (1990). Itoh, N., "A membrane reactor using palladium", AIChE J., 33, 1576 (1987). Cussler, E. L., Diffusion, mass transfer in fluid systems, Cambridge University Press, (1984). Wilke, C. R., "Estimation of liquid diffusion coefficients", Chem. Eng. Progress. 45, 218 (1949). Reid, R. C., Sherwood, T. K. and Prausnitz, J., The properties of gases and liquids, 3rd ed. New York: McGraw-Hill, (1977). Smith, J. M., Chemical engineering kinetics, New York, McGraw-Hill, (1980). Kunii, D. and Levenspiel, O., Fluidization engineering, New York, Wiley, (1991). bubble diameter in gaseous fluidized beds", AIChE J., 21, 109 (1975). Sit, S. P. and Grace, J. R., "Effect of bubble interaction on interphase mass transfer in gas-fluidized beds", Chem. Eng. Sci., 36, 327 (1981).